Marine life in Egyptian part of the Red sea is rich with colourful fishes, unique marine animals as well as coral reefs. 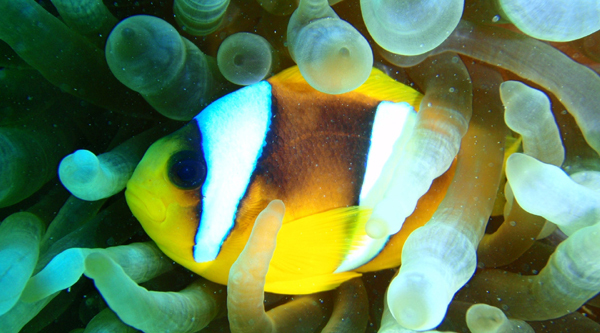 Its unique ecosystem attracts different varieties of marine inhabitants and very vulnerable to outside intrusions. 20 million years ago, as the Arabian peninsula turn away from Africa, the Red Sea was formed. In 1869 with the opening of the Suez Canal The Red Sea becomes a route for commercial shipping. To the south, the Red Sea is connected to the Gulf of Aden, which is a part of the Arabian Sea. The Red Sea is part of the Rift Valley, that cuts through most of eastern Africa. Its ports are Jeddah of Saudi Arabia and Macula of Yemen. Suez, located at the Gulf of Suez, is equally important as these two for the traffic of The Red Sea. Port Sudan - Sudan has today only minor importance beyond the domestic needs of Sudan. Any attempt to describe the marine life of the Red Sea risks drowning in superlatives--it is extraordinary, unparalleled, marvelous, incredible and truly wondrous. It was not by chance that Jacques Cousteau chose this region to introduce at the 1st time to the world the undersea life. And by the same token it is not by chance that so many people become diving fanatics during their visit of Sharm El Sheikh, Hurghada, Safaga, Dahab, Marsa Alam and Ras Mohamed. The exceptional richness of marine life in the Red Sea, and in the Gulf of Aqaba in particular, is due to an unusual combination of environmental factors. First, the Red Sea is comparatively sheltered and calm: its currents are gentle and regular, its tides almost non-existent, and its temperature warm and steady. While its waters run quite deep, they are warmed by volcanic heat emanating from the sea bed. The result of all these factors is an environment ideally suited to the complex and delicate ecosystem of coral reefs. Even among the world's most celebrated reef systems, that of the Sinai stands out for its unusual wealth of certain kinds of marine life--most notably, coral itself. The sheer abundance of corals, many of exceptional size and color, makes diving in Sinai an experience of almost magical intensity. But beyond the corals is a nearly infinite variety of marine species, including such notable creatures as Napoleon wrasse, brilliant orange coral groupers, enormous gorgonian fans, moray eels and hammerhead sharks, elaborate lionfish and majestic, swooping giant manta rays. The suitable condition growing - water temperatures between 19-28 Celsius, sunlight all the year around, moderated waves - make the Red Sea one of the richest places all over the world full of Coral reefs and fishes. A combination of local features including isolated reefs, big tidal movement and lack of nearby intensive fishing, adds up to perfect condition for reefs and schooling fish. Coral reefs have existed on the planet for approximately 450 million years. Geological evidence, as represented in the fossil record, shows that ancient coral reefs were as complex an ecosystem as modern day reefs. Present day reefs are considered one of the two most productive natural systems in the world, the other being the tropical rain forests. Both these systems are currently at risk as a result of excessive and negligent use. Coral reefs are increasing in economic value and must be protected. Understanding and care will ensure their survival. Coral reefs are the largest natural structures in the world. They are the result of a remarkable relationship between coral animals, known as polyps, and microscopic algae (zooxanthellae) living in their tissues. The polyp, resembling a small sea anemone, is able to feed itself using stinging cells found on its tentacles which paralyze passing plankton. The plankton is digested but supplies only a small part of the nutritional requirements of the polyp. They onvert sunlight, carbon dioxide and their own wastes into oxygen and carbohydrates. These carbohydrates are also used by the polyp to make calcium carbonate in a process known as calcification. This material forms the skeleton of the coral and eventually the framework of what we recognize today as a coral reef. 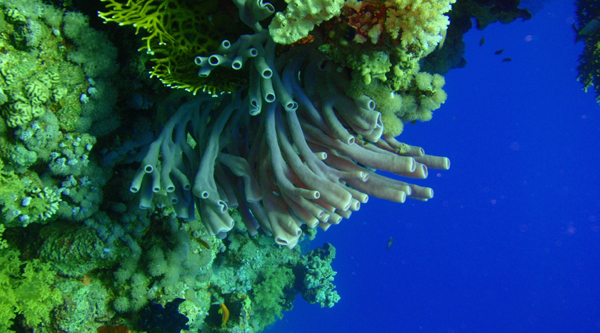 137 Species of coral are found on reefs in Southern Sinai. Coral reefs provide food and shelter for thousands of organisms which co-exist in complex interconnected food chains. Different behavioral patterns permit many organisms to share the same area, yet all organisms share common objectives: to occupy space and protect that space, to feed and to reproduce. Organisms which are less successful in any of the above will, in time, disappear from the reef. Coral reef ecosystems are in a constant state of change. Corals grow and provide the framework for etension of the reef. Simultaneously, the reefs are being broken down by animals living in or feeding on the structure (sponges, bivalves, urchins, and fish). If corals are damaged then the complex equilibrium of the reef will be permanently altered. The result would be loss of productivity and biodiversity, both of which would have serious economic consequences. 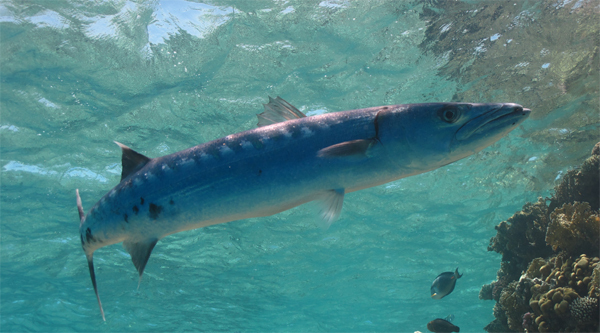 Because of the siutable condition of marine lfie growing under the water of the Red sea, there are more than 1000 different species of Fish in Red sea, oceanic fish as Barracuda, Emperors, Jacks and Sharks are important predators feeding on Coral reef fauna. 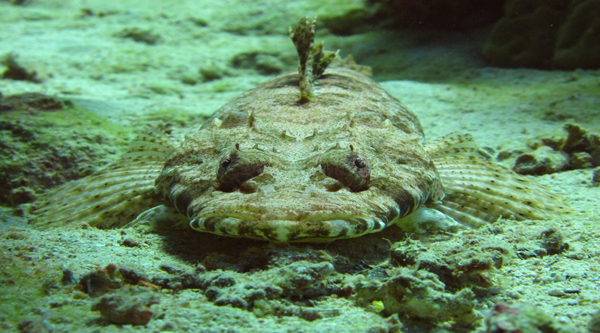 Other fish such as Napoleonfish, Parrotfish, Lionfish, angelfish, Batfish, Scoprpionfish, Stonfish, and Moray are als here.